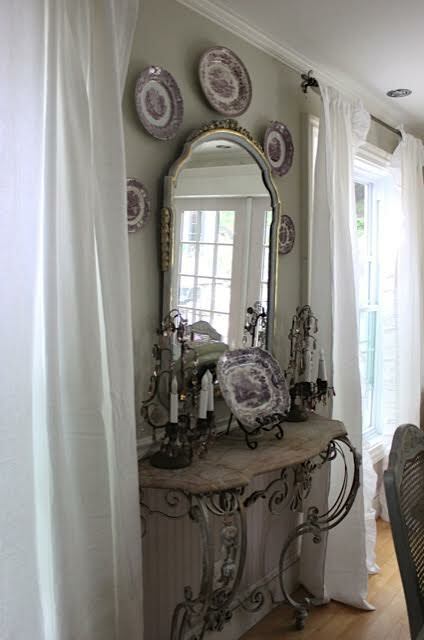 but I have never seen linen panels, and there were several colors and styles. 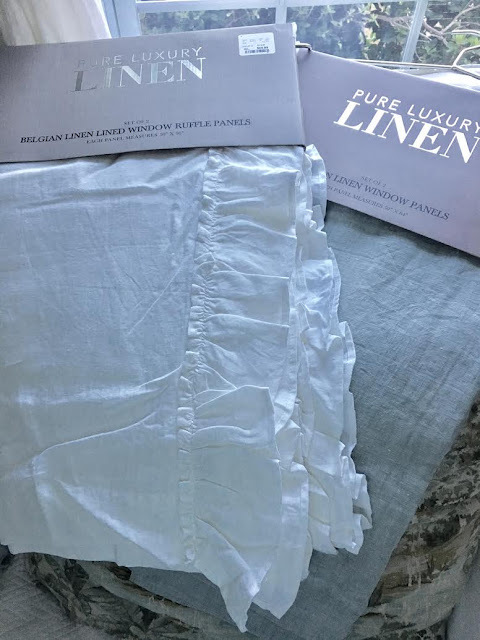 White ruffled linen, lined and at 96" long, these couldn't get into my cart fast enough. This package is a PAIR of panels, not just one. YES!! A pair for $89 bucks. So do the math, lined, ruffled linen for less than $50 a panel. The other panels I scored were in a mineral blue color. These were shorter at 84", unlined, and rod pocket style, at $59. 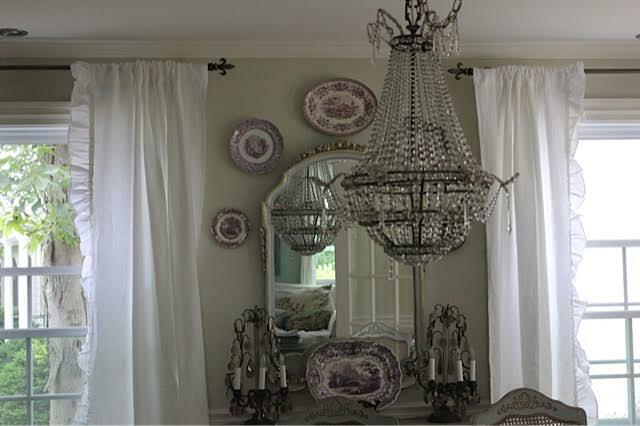 I am redecorating my family room in a Swedish color palette, and these would look perfect for what I had in mind. Hopefully I will be sharing that room soon. Piper the puppy is putting a dent into my productivity however. 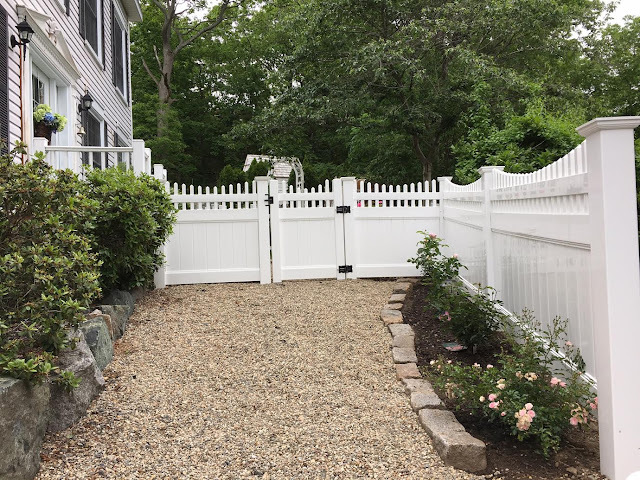 The long white panels were irresistible, and I have to say they look wonderful! If you are looking for a refresher, go hunt some down for yourself, you won't regret it! 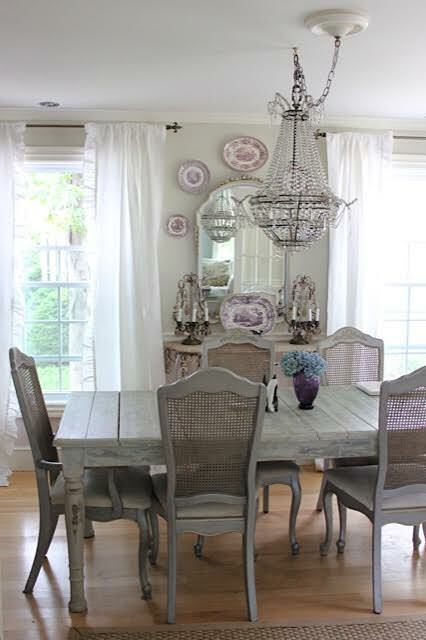 This room feels light and airy~perfect for summer. to the floor, without pulling them back. I am in love with the look of these panels. My little sidekick, Piper, joined me when I hung up the panels. She is so sweet, and I am really enjoying her puppyhood. We were blessed with the arrival of little Reeve. She is my first grandchild, and I am over the moon about her. 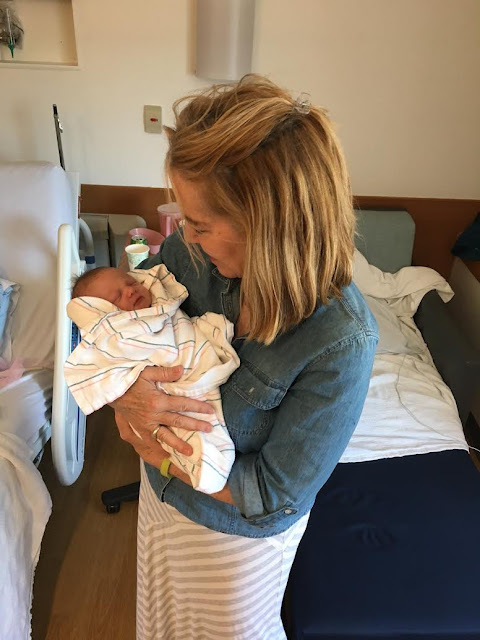 My life is full, and I am on a high enjoying these new additions to our family. Piper joined our family almost a week ago, and she is a pure delight! 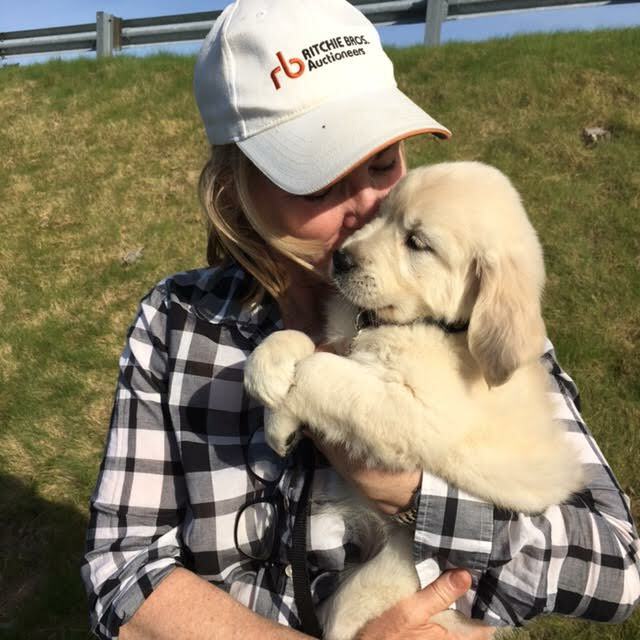 She is a golden retriever puppy with a sweet and playful temperament. 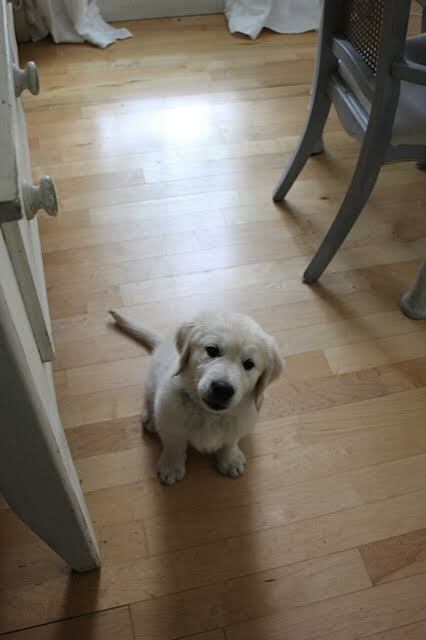 She is 8 weeks old and seems to be pretty smart, in addition to being delightful. She is doing great on her housebreaking, and sleeping through the night after the first two nights. No whining or whimpering in her crate either, and I have to say it is because she found it comforting to join Colby. As soon as we took her out of the car, she seemed a bit flat in spirit....maybe it was the three hour drive. But as soon as we brought out Colby to meet her, her little tail started wagging, and it hasn't stopped. 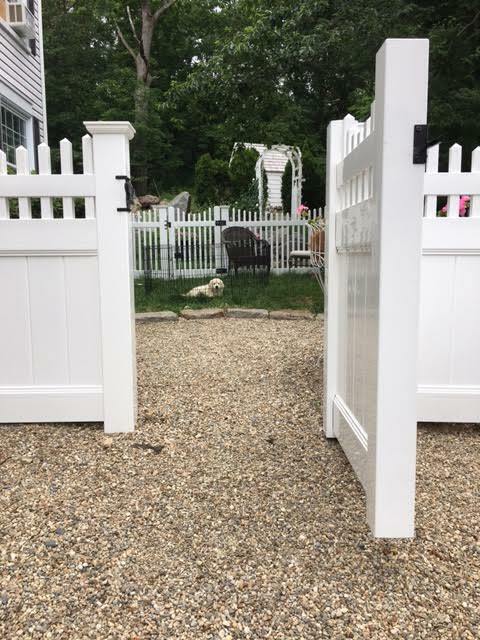 We put in a fence last year so we could let Colby out to do his business in a secure setting. When we trained Colby for bathroom breaks, we used the x-pen that you see Piper sitting in. It is the place we plop her down and tell her to do her business. She is getting an A on her report card so far! After she does her biz, she gets to get outside the pen and play with Colby. 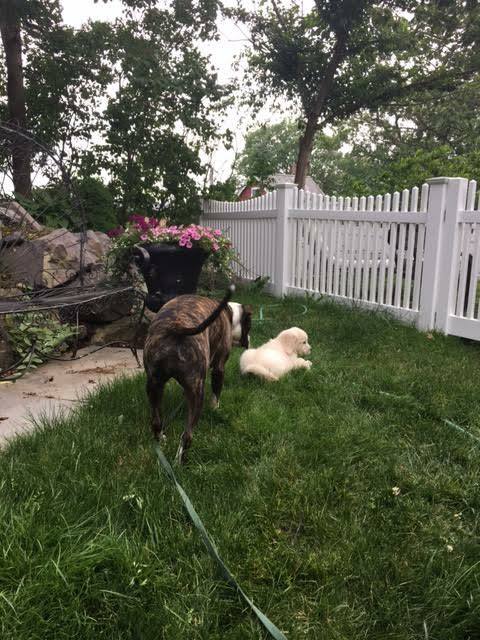 This view shows the small contained yard we created for the dogs. 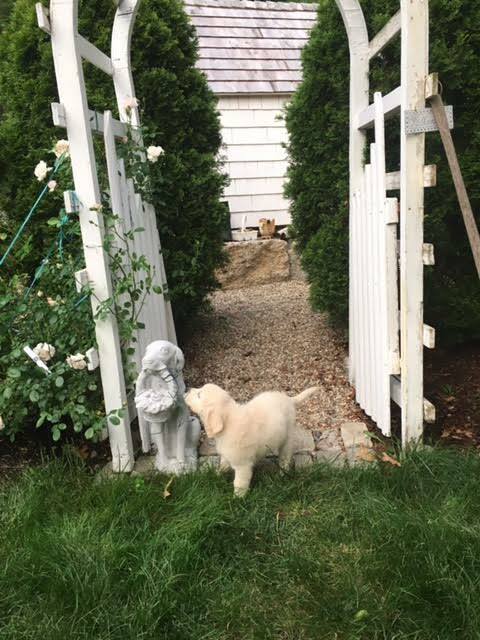 There is another gate that leads to the back yard and the courtyard. 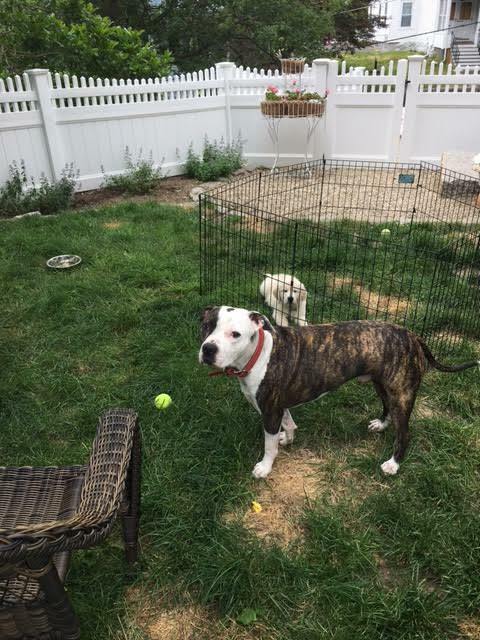 Last night both dogs enjoyed being on the other side of the dog yard as I grilled some burgers. Colby is always hooked up to a long lead when he is in the courtyard side. 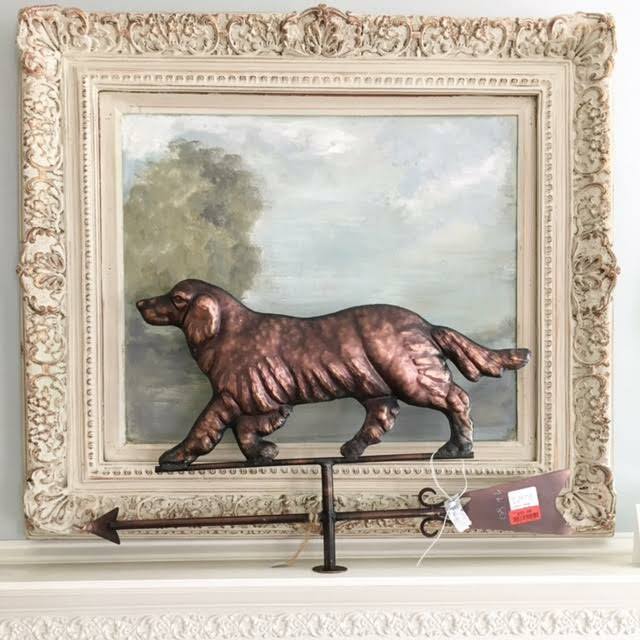 golden retriever weathervane at HomeGoods. 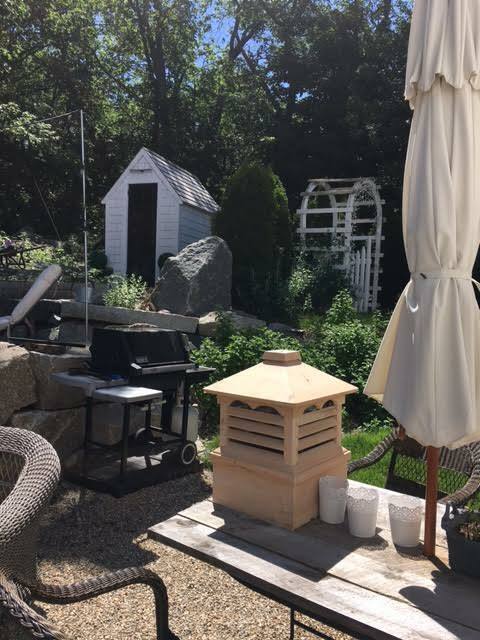 Then I shopped my Facebook Yardsale groups for a cupola, and voila! 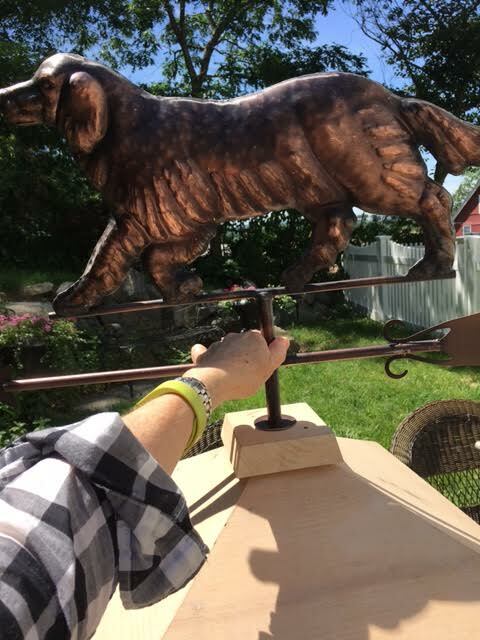 it will look just right up on top of the garden shed. 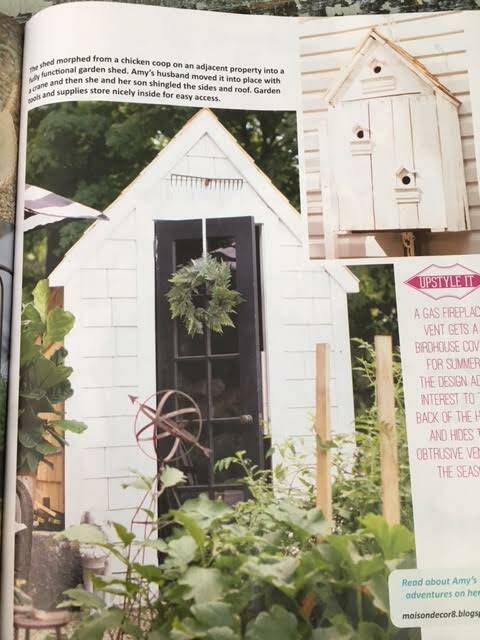 This is my next outdoor project, and I think it will look really cute up there. 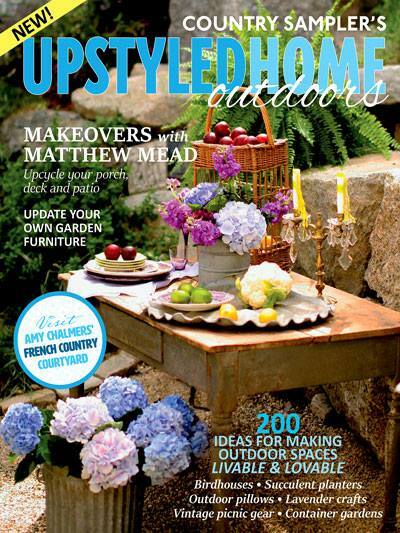 Remember this image of my shed in Matthew Mead's UPSTYLED HOME Outdoors issue? Currently on the shelves, it is packed with ideas. 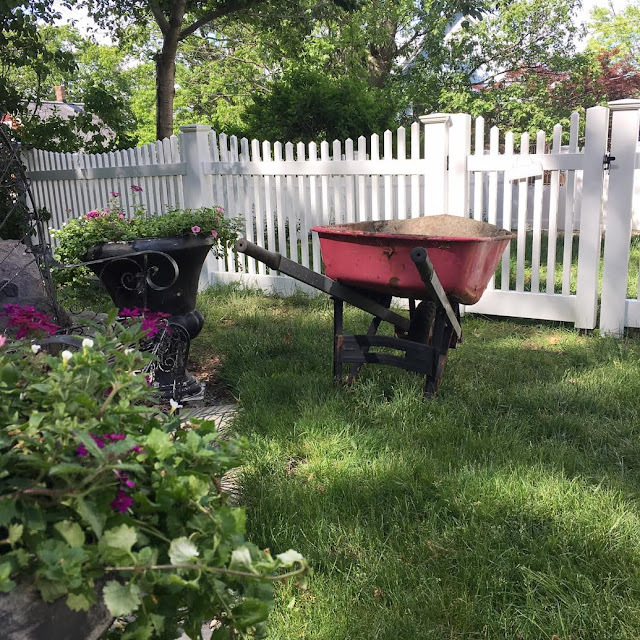 And I am always adding more things to my outdoor spaces, and trying to improve on the spaces we have established. The cupola is something I wanted to do FOREVER. I remember when I was first married to my kids dad, and we had a tiny garage. I asked him to build me a cupola...he did. He was busy building it in our basement. One day he came up to have me take a look at how it was coming out. I went downstairs to see the biggest most enormous cupola I had ever seen!!! OMG. Our garage was not much bigger than a shed. LOL. So it never worked out, the scale was all wrong, but like I said, I have been wanting a cupola for a long time. Leading to the shed was this old arbor I found on craigslist. The climbing rose planted last year is doing really well, and it has just started to bloom! I am training the canes to the arbor and I have no idea if this is how to do it, but I think you just "persuade" the branches to go towards the arbor with garden twine/wire stuff. I loved trying to catch her in a pose, and she granted my wish. She is a little soft furry dollfaced puppy! You will be seeing alot more of Piper in the blog. She is already growing like a weed. 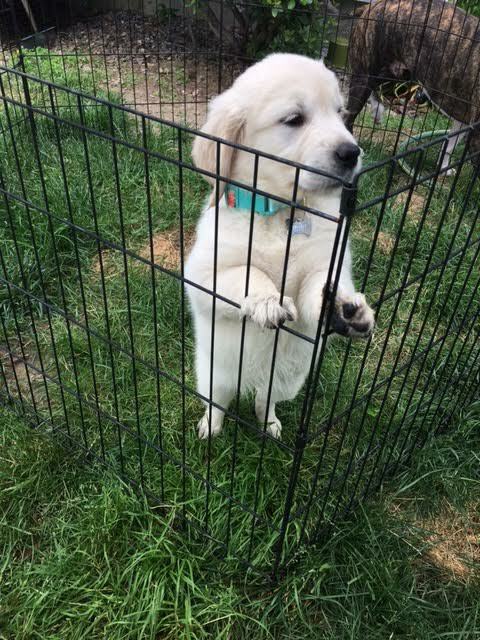 She stands up in her pen, as if to say, hey I did my business, now let me outta here! 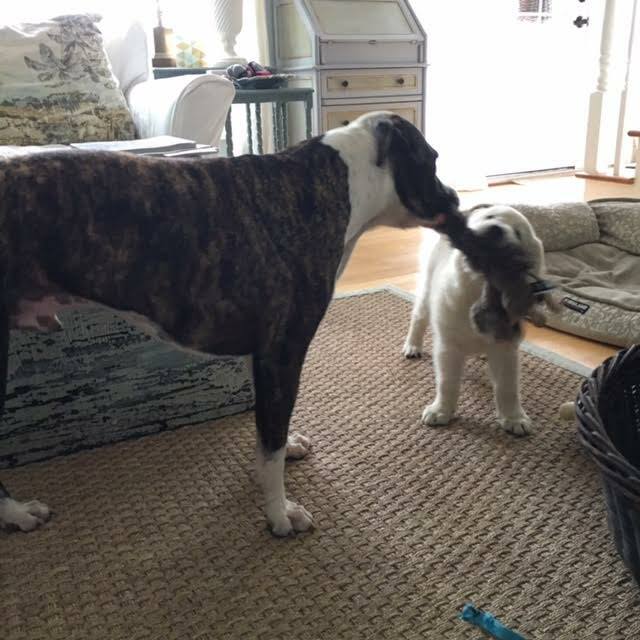 And she holds her own in a gentle tug of war game with Colby. Its all dogs around here for much of my day, and it will be that way for awhile. I will be lucky to get that cupola installed....but I will give it my best shot. @pipers_parade if you want to see more of Piper and her progression. it was time to spruce up the front of the house and give it some curb appeal. Remember? It is on news stands now, if you haven't looked for it yet. 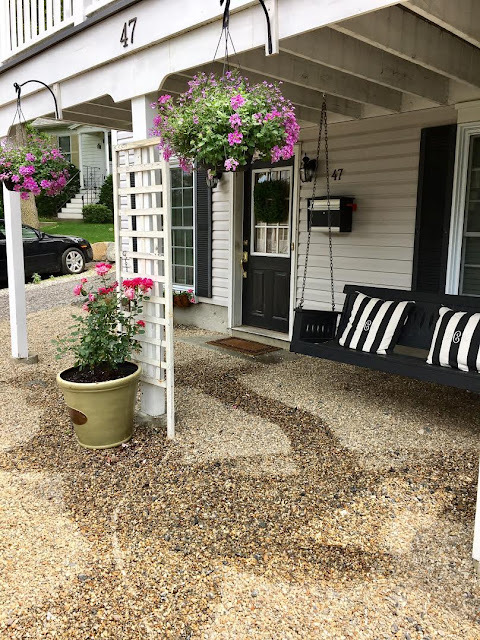 It inspired me to address the front of our house, and so far so good! We created some new flower beds, including a small rose alley that has my first David Austin roses. If you haven't heard of them, they are old fashioned full blown roses with many petals per bloom. The boxwoods that used to be along the fence got some boxwood blight, and so all were removed. 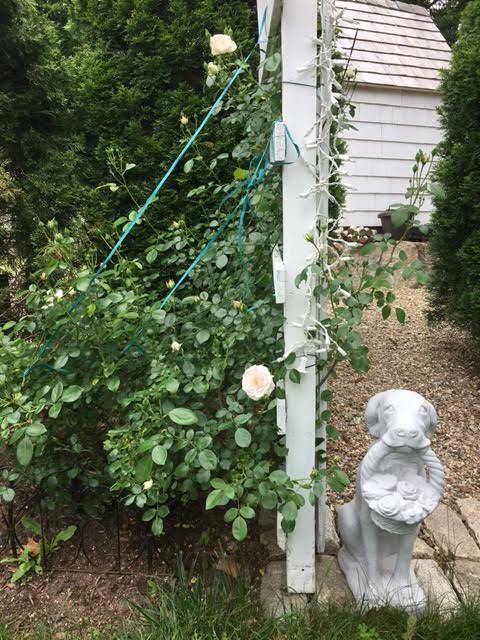 The narrow space along the new fence from last year seemed to be a good spot to try out some roses. I like the idea of guests being treated to some pretty flowering plants as they approach the gate. 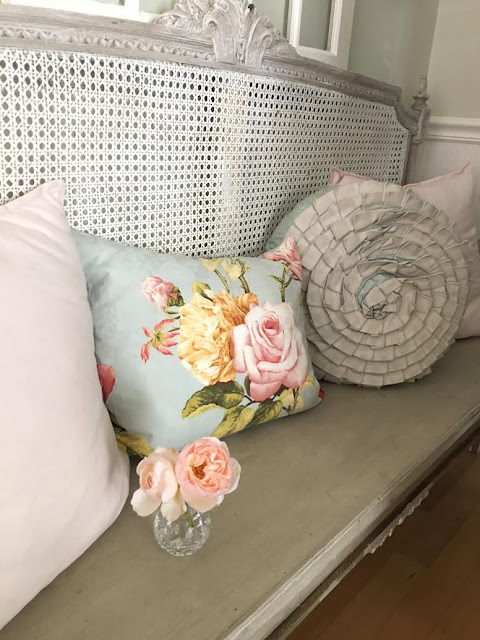 Originally I planned to do all fairy roses along the fence, but as it turned out, the nursery only had two left when I inquired to the inventory. By the time I walked down to the roses area, I saw a woman passing me with her cart holding a fairy rose!!! OH NO! 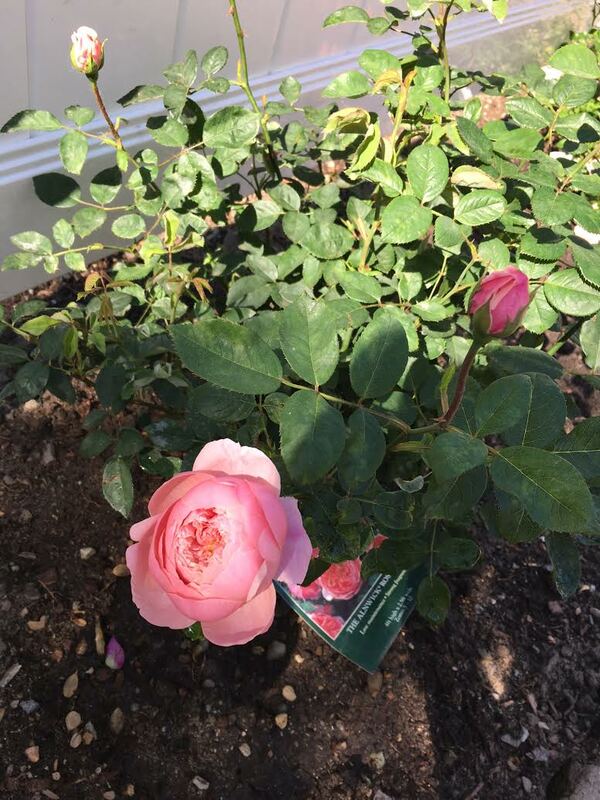 So there was only one Fairy Rose left, which I got, and then I stumbled into a section that had David Austin roses. I had heard so much about them and seen their photos on Instagram and Facebook, so I decided to try them as well. 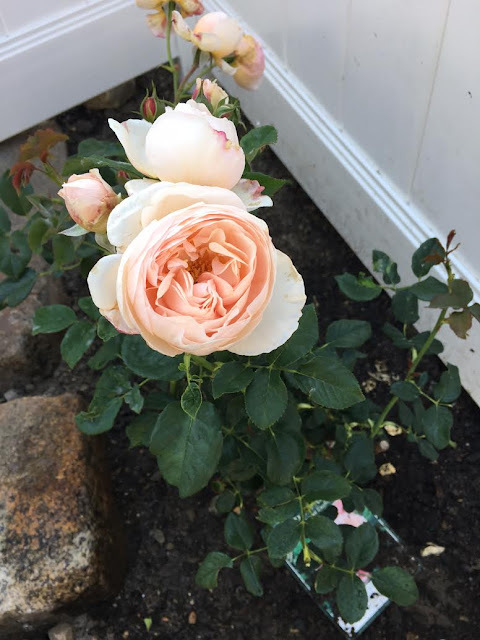 This is the Heritage Rose by David Austin. Its a peachy pink rose, and the only one I have brought inside for cut flowers at this point. They don't seem to to last long as a cut flower, and I had read somewhere that they last longer on the bush. Anyone know about this? This pretty one is a deeper pink, The Alynwick Rose. It practically looks like a peony! along the front as part of our curb appeal project. 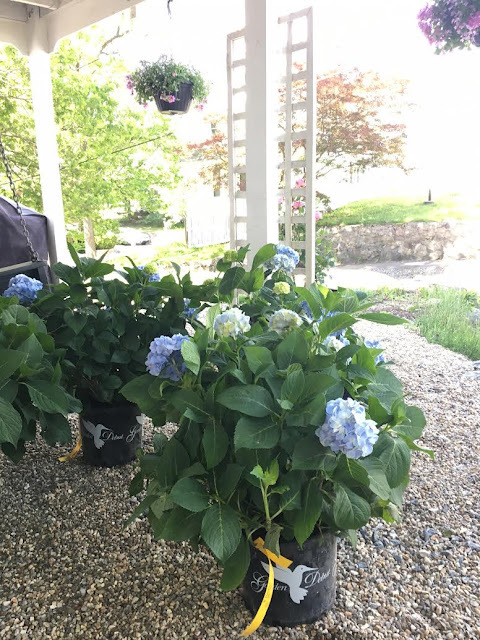 We had a Thundercloud Plum tree for ten years that suddenly got some awful black blight which killed it, so that was removed and in its place we planted a row of the hydrangeas. The will grow to four feet wide by four feet high, and it should create a nice border, as well as great cut flowers all summer long! 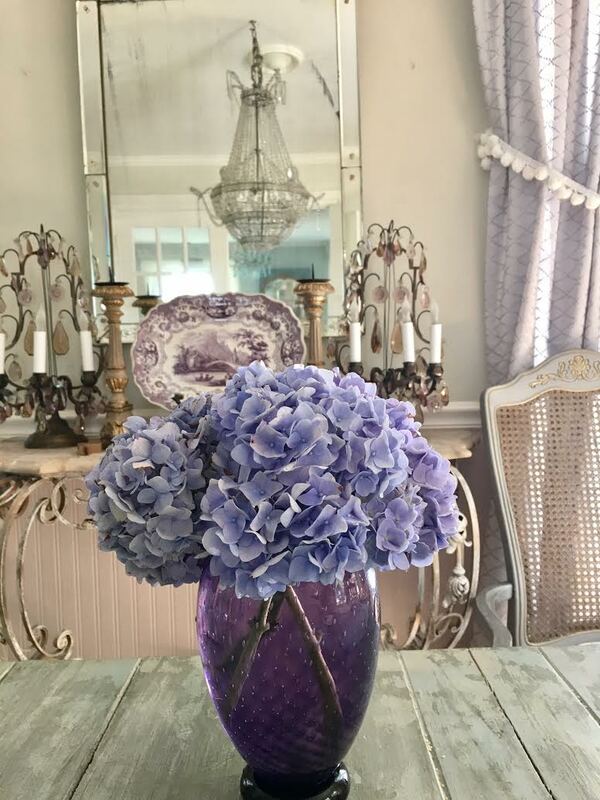 Who doesn't love hydrangeas? This is the street side of our "sideways" house. 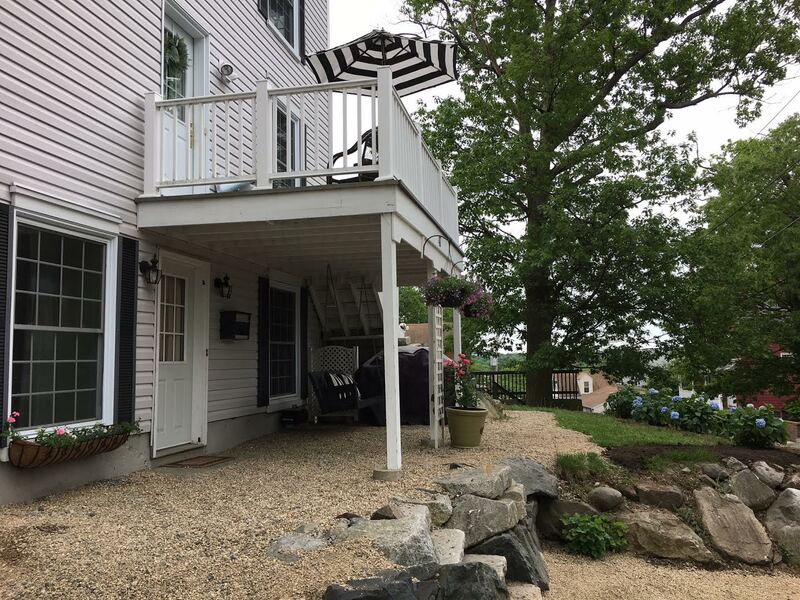 The front door sits sideways, and this side view has the lower door to our son's apartment, and a smaller deck above for morning coffee. This weekend both doors are getting a black paint job, and so far the first coat has them looking really great! I found some terrific faux boxwood square wreaths that are going to be hung on both doors. wreath from HomeGoods. I love the simplicity of the wreath. 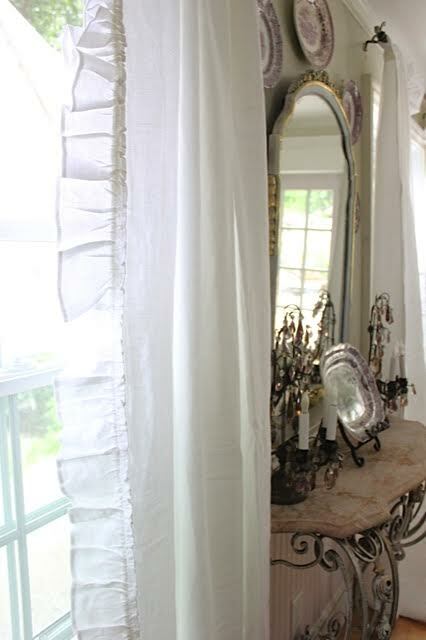 and summer curtains are in the works for softening the space where the narrow posts are. Our yard is composed of many different "rooms", and this one just got a new bed of Catmint, or Nepeta, along the fence. A cobblestone border was added, and some sod to freshen up this enclosed "dog yard". This has been a godsend, just letting the dogs out into a safe contained yard to do their business. Walks are part of our daily routine, but this space is a major convenience, and its pretty to look at as well. 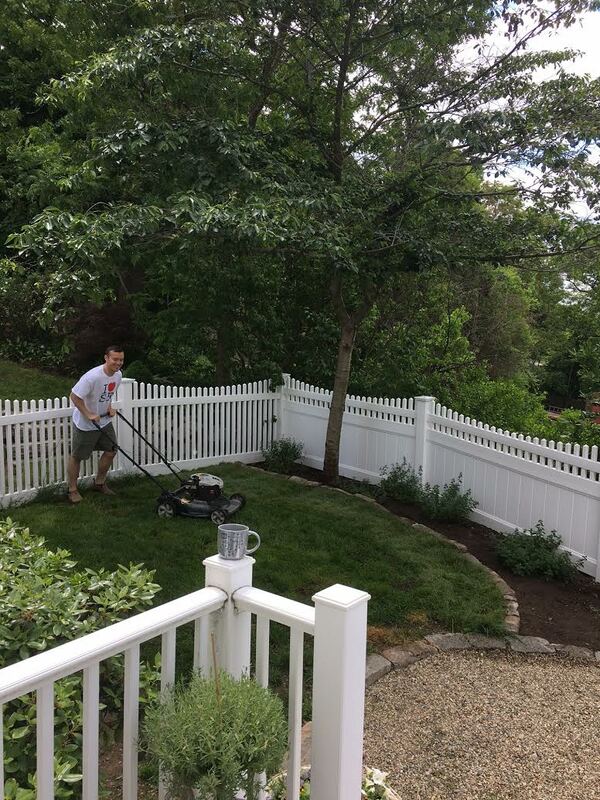 My son Colin lives in the apartment, and he is always lending a hand, mowing or planting as the need arises. Gardening and landscaping brings me great joy, and now that I am home full time, its been fantastic to get to some of these projects that I have been dreaming of doing for a few years. 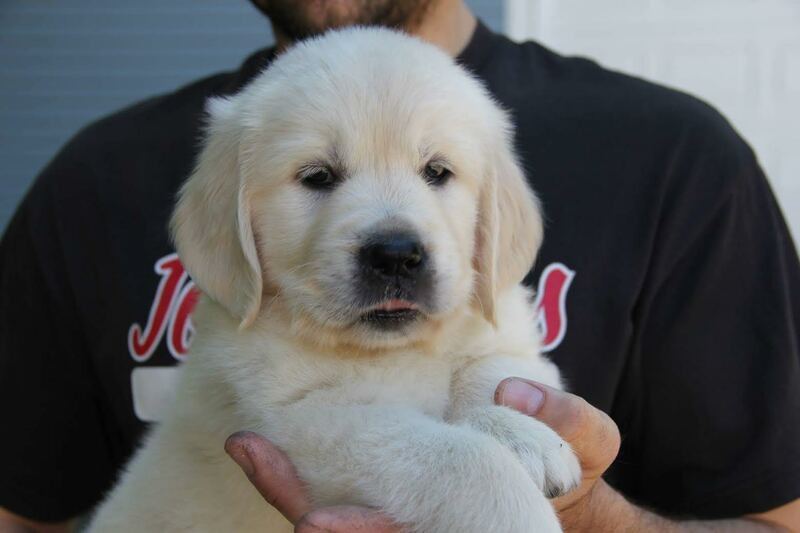 Last but not least....we are getting a new puppy! Piper is an English Golden Cream Retriever. 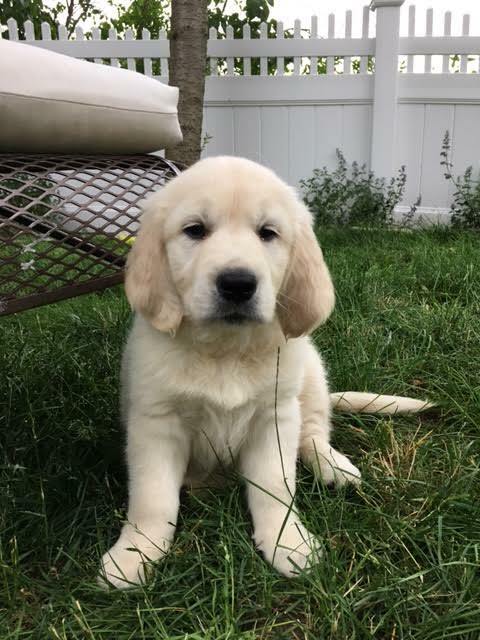 The English version of the American Golden Retriever, the English Creams are lighter in coat color, and have blockier heads. 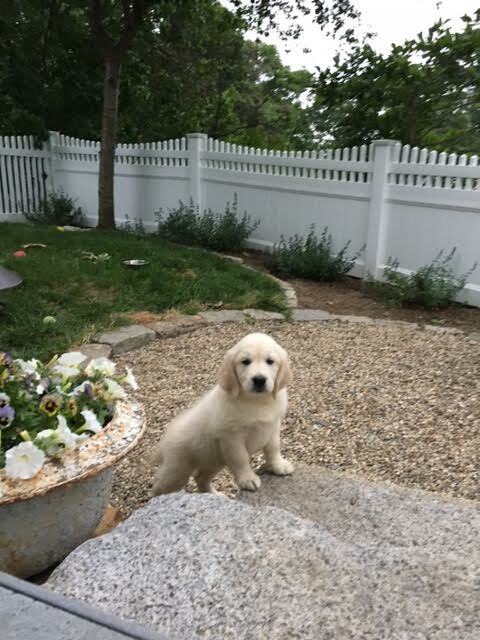 Colby is going to have a little sister, and I will be working hard at training her and integrating her into our home and lifestyle. 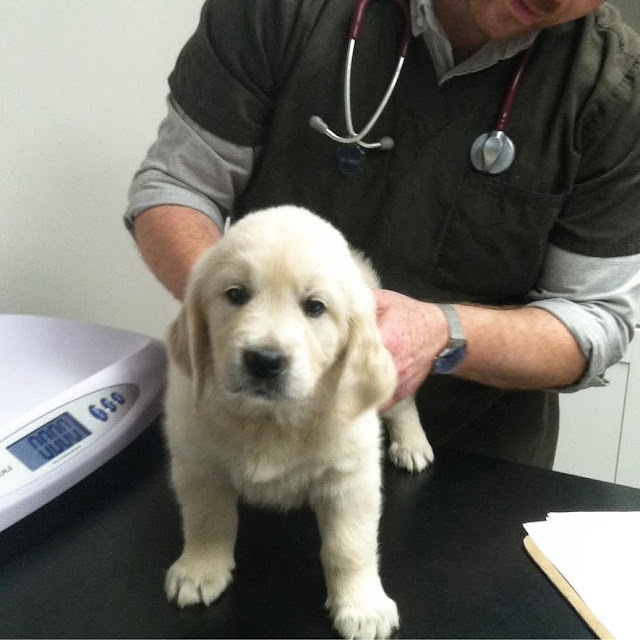 Here she is at her 7 week checkup exam. Isn't she the cutest little thing? 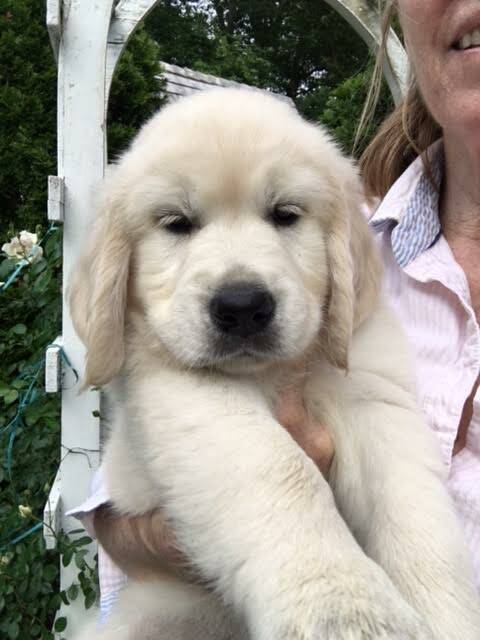 We get her next week on her eight week birthday. So the push is on to finish a few projects around the house so I can be free and clear to be available to being a puppy mom, once again.